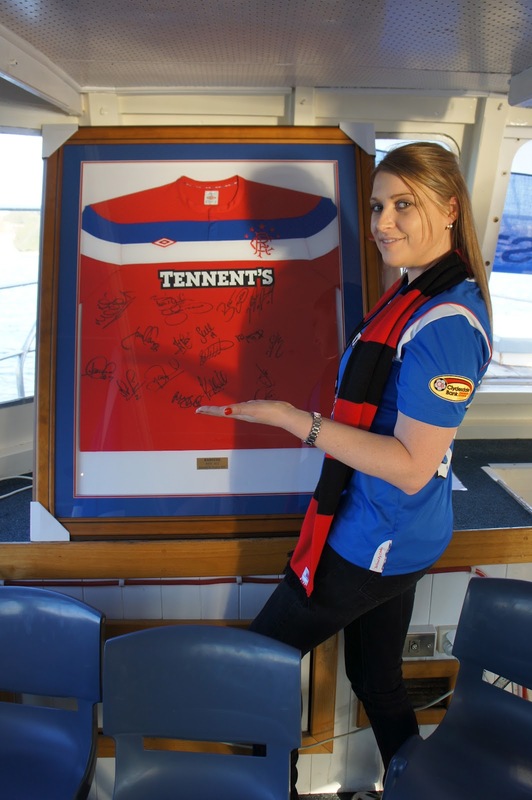 I recently attended (and help organise) a Sydney Rangers Supporters Club Harbour Cruise. It was to celebrate the 20th anniversary of the Sydney RSC, but also to raise money for Rangers Football Club (or more specifically, the Rangers Fans Fighting Fund) as, for those that don't know, there are serious financial problems at our great club. We had a great day out and also managed to raise a total of $12,000! I also won one of the main prizes, a signed framed Rangers shirt as seen below!